Exclusive £75 Gift Card with Upfront Bookings Over £1500 at On The Beach Make a combined hotel and flights booking through On The Beach and get a £75 digital gift card! Once your purchase is verified we'll email you how to claim. Family Holiday Bookings from £169 per person at On The Beach Taking the family away doesn't have to break the bank, check out the deals at On The Beach. All Inclusive Deals From £205pp at On The Beach Take the stress out of holidays and go all inclusive. Last Minute Deals From £254pp at On The Beach Feeling spontaneous? Check out the amazing last minute deals! Tunisia Holidays from £197 at On The Beach Jet off to Tunisia this summer with some great holidays all for a bargain price. Tenerife Holidays from £235 pp at On The Beach Jet off to the Canary Islands for some summer fun and relaxation. Half Board Holidays from £15 Per Adult Per Night at On The Beach Great alternative to inclusive, grab these amazing offers on Half Board holidays and seize the chance to try out the local food. Adult Only Holiday Bookings from £36 per person at On the Beach Take a break and truly relax with exclusive adult only hotels and resorts. 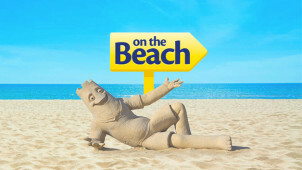 From humble beginnings as a start-up in a terraced house in Macclesfield, On The Beach has become the UK’s largest online travel agent, a one-stop shop for holidaymakers to get a great deal on some sun, sea and sand. With over 1 million customers travelling annually and a 90% feedback rating from Feefo, On The Beach really is a booking service you can trust. Before long, you'll be the one leaving fantastic On The Beach reviews! They are dedicated to getting you the best deals on your trip away, and you can even pay in installments and spread the cost up to two weeks before you fly, to make your trip away as wallet-friendly as possible. Better yet, their 24/7 support is there for you to help with whatever you need when you’re booking your trip or whilst you’re on it. They’re also ATOL and ABTA protected so you can book a holiday with peace of mind that your money is safe no matter what happens. How do I use my On The Beach discount code? On The Beach’s ‘Deal Finder’ is great at sniffing out discounts on flights and hotels, so be sure to give it a whirl to make sure you get the best possible deal. How can I manage my On The Beach booking? You can do this through the ‘My Bookings’ section of On The Beach’s website. Please note this may incur an admin charge and flight bookings are non-refundable. Can I book car hire with On The Beach? Yes, On The Beach has a car rental department. You can also book other extras here. What do I do if I have a problem during my On The Beach holiday? On The Beach have a 24/7 in-resort support line: you’ll get details on your booking confirmation. All cancellation requests must be submitted online via the “My Bookings” section of their website. Unfortunately, they can’t accept cancellations over the phone. They don’t have standard cancellation charges as these can vary depending on the cancellation costs of their suppliers. If you do decide to cancel your holiday, you will be able to see a full breakdown of costs to cancel your holiday on screen before you confirm the cancellation. Wouldn’t it be great if there was a website dedicated to getting you a great beach holiday at a low price? On The Beach does just that, and with one of our On The Beach discount codes you'll save even more on that escape that you’ve been dreaming of. Rolling white sands, a crystal clear ocean lapping at your feet and the sun on your face are what you’ll get with On The Beach holidays, so expect nothing less than paradise! On The Beach has a number of ways to search for your dream holiday. You can search by destination whether it’s a specific country, Europe or long haul you're after. If you know what sort of holiday you want but you don’t know where to go, you can search by Kids Stay Free Holidays, Self Catering Holidays or whatever you’re looking for and let On The Beach discount codes help you with the rest! We at vouchercloud are rather partial to an all inclusive holiday and what a perfect summer break idea? An On The Beach voucher code will save you even more on your last minute trip to Benidorm, Turkey and beyond. With flights and hotel all included, you’re laughing! Giving you extra spending money for the all important duty-free and fun out there of course, there’s nothing like an all inclusive holiday to let you unwind.